Ford Mondeo ST 220 never tires with its brisk pace and how to spot a good buy in the UK? Driving an exclusively powerful 223bhp Ford Mondeo is an out of the blue experience. You will never get tired of surprising people around with its brisk looks, powerful styling and excellent performance from its powerful Ford engine. This guide to buying a Ford Mondeo would help you in buying a used Ford Mondeo ST220 in the UK. Ford is one of the oldest successful automakers and they had a world record of selling most cars in 1914 when the car was a sign of status. The world has seen that in the USA every fourth vehicle was Ford Model T. Ford sold more than 14 million vehicles in the UK. In the 21st century, Ford gain saw the trailer of the same era with Fiesta models when it remained on the top in the UK market for many years. It is important to understand that the UK hatchback market is one of the most competitive markets in the region. It is the trend in the UK that if you are a young buyer, you would go for a Fiesta and the gentlemen would go for a focus model. On the other hand, the Mondeo is the best saloon in Ford’s model’s lineup. The Mondeo ST220 from 2002 to 2007 is the best model. What about the Ford Mondeo V6 Engines? How to Get One in Your Garage? The Mondeo ST 220 is powered by a 223bhp 3.0 liter V6 engine which is one of the most capable power units in the reconditioned Ford engine lineup. Ford 3.0 liter V6 twists out 210lb-ft of torque. With the Ford 3.0 liter engine, it takes only 6.6 seconds to reach the benchmark speed of 62 miles per hour. As one of the owners of the Mondeo ST220 confirms that the model is a surprisingly excellent performer but a bit less fuel economy and it returns just 20 miles per hour in the city traffic and on average it returns almost 23 miles per gallon. Most of the Mondeo ST models were ended up with those owners who were unable to afford their vehicles and fuel consumption. Never mind about the services and features of the model as mileage is exclusively excellent. The gearbox and suspension system are excellent. Ford Mondeo ST220 that it was a darling car for him and he sold it just because of his wife’s love with the Mercedes. He says that during that time, the Mondeo remained a faultless vehicle and he never spent a penny on his vehicle apart from MOT charges and simple services. Only he faced were the dodgy ball joints. He says that he decided to replace the vehicle with a meatier vehicle otherwise he might have a new Ford Mondeo ST220. He said his Mondeo was a desirable racing blue, more usable salon version. The Mondeo saloon has a spacious boot area and a world-class self-leveling suspension system. One of the private sellers is asking for around 2250GBP for their slightly bashed 2004 registration plate. His vehicle has 150,000 miles and loads of service receipts. On the other hand, the 2999GBP model of 2006/56 registration plate also makes sense. Whether the saloon, hatchback or the estate, the ST220 comes with an excellent body kit, 18-inch alloy wheels, and heated Recaro leather seat. The modest five-speed manual transmission and a Getrag six-speed transmission become standard in 2003. The fifth gear has longest ratios in the transmission with relaxed miles eater. All other four ratios are shorter than the fifth transmissions. The Mondeo V6 engine has a very clean record and has no serious failings. On the other hand, the electric systems of the vehicle are more likely to give trouble, although the main factor in the Ford Mondeo is not its engines as they have enough power left to push the Mondeo on the road with some good muscle. The more predominant factors are the comfort and the heated seat elements and it is believed that this feature doesn’t come free with the new models even. A minimum of 500GBP need to be paid to get this feature and the Mondeo is offering the heated seats for free. It is an exclusively good thing if you have found good features for little money. At this time, the most important thing is to upgrade the engine and power option rather than the features. A puma speed’s ST250 might fit in a little money. You can easily buy a Mondeo ST250 for just a 1347GBP. An expert says he has an ST 2003 hatchback and for almost 10 years he is using it with confidence. The 2003 ST 220 never push me to get a new vehicle, he said. Then he started with his family and he was still using the Mondeo ST220 for many years. Even his wife fell in love with the ST220 and its performance. He said he also had a BMW M3 and he went away with his M3 and his wife forgot to take care of the ST220. The engine blew up and they managed to buy a Ford Mondeo reconditioned engine. After adding the new engine to the ST220, the fuel economy achieved 26 miles per gallon from the reconditioned engines. It means that any of the Ford Mondeo ST220 models can achieve even better fuel economy figures. In the second gear, you can pull away from the vehicle with power. Once it gets underway, you are all good to go on the motorway with some great power. Knocking and slackness at the front could be because of the worn bottom arms, drop links, dampers and strut top mounts. If there is a feeling that you are listening to a clunking or slacking at the front, check the high pressures on the power steering and hoses around. Look out for any oil leaking in any of the steering or suspension components. Leaking can cause these sounds and it is normal. Wheel brakes can also cause these noises due to worn wheel bearings and even the brake pads. You must release the handbrake properly and give attention to every smaller detail during the test drive. After the brakes, give attention to the body, and check the underside of the vehicle for any serious rusts. Check door bottoms and wheel arches around the windshields. Check any rattling sound you feel. Give attention to the interior, dashboard instruments, and check the air con, climate control system, heated seats, and all the dash lights if they are in the working condition. If all these three set of areas are good to go then you are good to buy the vehicle. 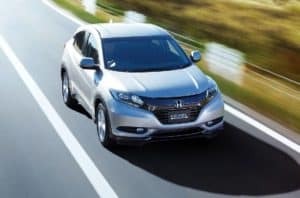 If you are a bit conscious about the fuel type, then go for the diesel variant 2.2 TDCi because the diesel version hits 50 miles per gallon very easily. It is fuel economical but the actual oomph of petrol is missing in the diesel engines. It takes over 8 seconds to reach the 62 miles per hour. The 2.2-liter diesel engine cranks more than 150bhp and you can buy one in around 3000 extra. It depends on the model year you are looking for, e.g. if it is a 2004 model with a mileage range of over 110k on it, you can buy one for just 1000 to 1400GBP with the full-service record. Some real examples can be bought for not more than 2495 GBP. 05 reg plate can be bought from 4000GBP with around 100k miles or higher. 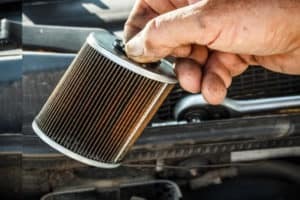 How Often to Change Oil Filter with Synthetic Oil? 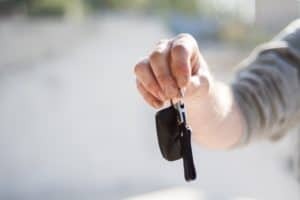 Which Qualities Should You Look for in Your First Car?